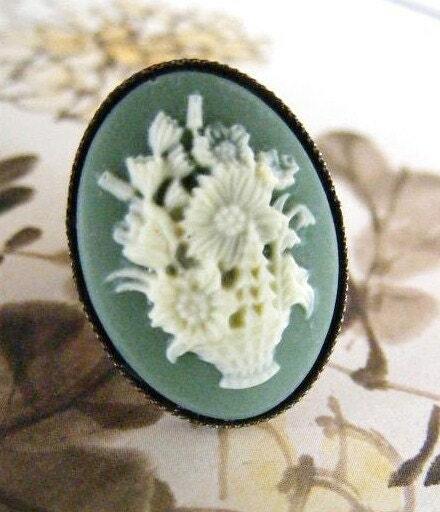 This beautiful cameo ring is a gorgeous sage green with a fabulous ivory bouquet of flowers. The cameo is set in a one inch oval antique brass adjustable ring base. The ring size begins at a size 6.5 and adjusts up to size 9. Folksy :: Buy "Green Rose Ring"